Yoshiaki Okayasu was born on July 12, 1962 in Tokyo, Japan. 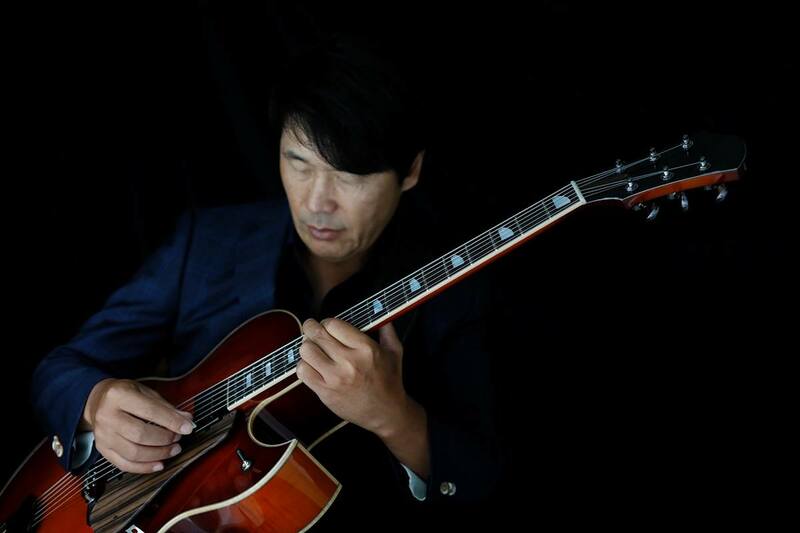 Following his interest in the guitar, he became a student of jazz guitarist, Yoshiaki Miyanoue. His apprenticeship began upon the completion of school and continued as his professional career began. The beginning of his recording career came at the age of thirty. In 1992, he was rewarded for the his dedicated preparation with an opportunity to join Masahito Imatsu's recording, "Sticky." From this period his work began to be noticed by the recording industry, which resulted in an opportunity from Paddle Wheel Records. This debut album, "MIDNIGHT GROOVES," was released in 1993. Subsequent recordings released by Paddle Wheel created the foundation for a growing popularity and critical acclaim across Japan. Paddle Wheel, as a subsidiary of the famous jazz recording company, King Records was instrumental in placing Okayasu's work before the ear of the Japanese jazz fan. Thanks to his excellent performances through the following eight recordings, Yoshiaki Okayasu’s future as a major artist in Japan is secure. Okayasu is now working, performing for jazz fans in many venues whether it be an intimate jazz club setting or one of the several major jazz festivals in Japan. Okayasu, when asked about his influences and his personal taste, lists such guitar greats as Grant Green and Charlle Christian, but a special place is reserved for Kenny Burrell. "Kenny has been a source of inspiration from my earliest days in music!” Speaking of Kenny Burrell with an obvious respect, Okayasu hopes to not only learn from Kenny Burrell"s concept, but also to absorb it as a basis for creating his own personal style. This motto of growth and development has been a consistent factor in Okayasu's continuing success. Yoshiaki Okayasu has already achieved attention by his fans for his personal style. His audience is entranced by his quiet subtlety and grateful for his singing phrases, playing for the music and not using virtuosity for showy demonstration. His love for jazz guitar is readily apparent to all audiences. Consequently, an aesthetic of greater dimension is realized when the audience can not only appreciate the music, but also the character of the man making the music!